Even as the Supreme Court is yet to take a final call on the mandatory requirement of Aadhaar for various purposes by the authorities, an advocate has moved the apex court against such a demand while applying for the post of assistant public prosecutor (APP). Rana Pratap Bismal, a resident of Rayagada district of Odisha, contended that he was asked to provide Aadhaar details while applying for the post of assistant public prosecutor in Odisha. Alleging that the Unique Identification Authority of India (UIDAI), also known as Aadhaar, has no statutory basis, the petitioner sought the court to examine whether the action of the authorities of making Aadhaar a mandatory requirement is in violation of his personal liberty and right of choice of opting for Aadhaar number. "Due to the compulsory requirement of the Odisha Public Service Commission, the petitioner herein is being coerced into obtaining an Aadhaar card in complete violation of his right to privacy and right to bodily integrity as enshrined under Article 21 of the Constitution of India. It is submitted that the mandatory requirement of the Public Service Commission is in violation of Article 14 as it creates an unnecessary distinction between the Aadhaar card holders and non-Aadhaar card holders," the petition stated. Chief Justice of India (CJI) JS Khehar’s bench has agreed to examine Bismal’s petition on Thursday after senior advocate Shyam Divan mentioned before the bench for urgent hearing of the matter. According to the petition, filed through advocate Udayaditya Banerjee, the Odisha Public Service Commission’s (OPSC) decision for compulsory requirement of Aadhaar is violative of Articles 14 (equality), 16 (equal opportunity in employment) and 21 (protection of life and personal liberty). According to the petition, an advertisement was issued by the OPSC on March 17 and applications were sought for the post of APP. The last date for applying online is till May 5. The petitioner also submitted that even under the Aadhaar Act in terms of Section 7, at the highest the government can make the production of an Aadhaar number as a mandatory condition for providing certain benefits, subsidies or services as defined under the Act. There is nothing in the Aadhaar Act that permits the government to make Aadhaar a mandatory pre-condition for the purpose of recruitments and appointments to public jobs. A. 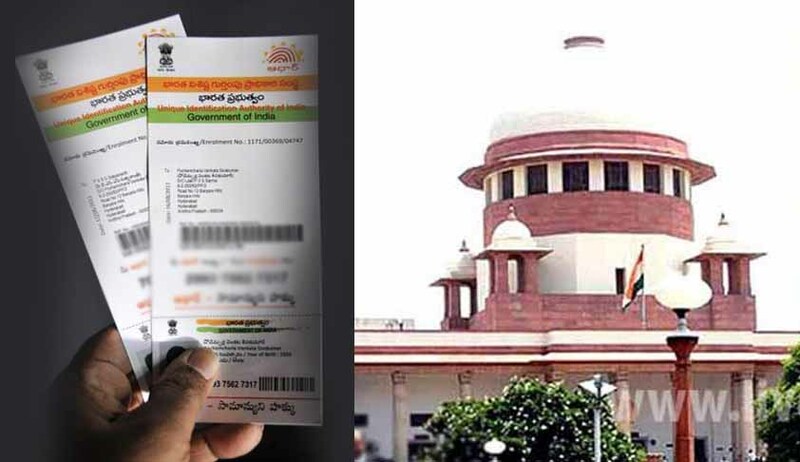 Whether the Odisha Public Service Commission is justified in making Aadhaar mandatory in the online application form for examination for the post of APP in view of the express orders and directions of the Constitution Bench of this Hon’ble Court in the case of KS Puttaswamy (retired) and Anr vs Union of India and Ors reported in (2015) 10 SCC 92 and three-judge bench of this Hon’ble Court in the case of KS Puttaswamy (Retired) and Anr vs Union of India and Ors reported in (2015) 8 SCC 735? B. Whether the mandatory requirement of Aadhaar details for the post of APP as laid down by the OPSC is in violation of the fundamental right of equal opportunity in public employment provided under Article 16 of the Constitution of India? C. Whether the Odisha Public Service Commission has infringed upon the Petitioner’s right to equality as provided under Article 14 by creating a differentiation between the applicant who are not having Aadhaar and those who have applied for Aadhaar? D. Whether the action of the respondent authorities of making Aadhaar a mandatory requirement is in violation of petitioner’s personal liberty and right of choice of opting for Aadhaar number?